We all headed to the Food Circuit at The Block Ground Floor and started our food crawl at Kumori, A delightful little place that bakes fresh pastries and more! Looking around, it’s almost hard to decide which ones to try. You just want to try them all because they all look so tempting. 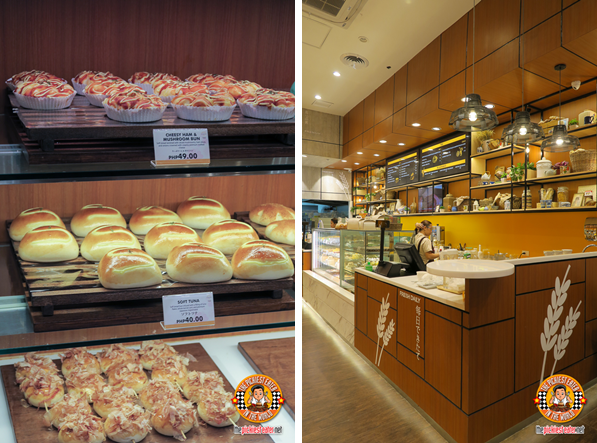 For the savory breads, we were able to try the Mozzu Chizu Pan (P59), which is like a pizza bread. It’s a tomato and herb dough with white sauce and shredded mozzerella cheese. This is good for me because the tomato part is not as pure as real pizzas. It’s just in the dough. And if you know me, you will know that tomatoes are my kryptonite. My wife in the other hand really enjoyed the Crabstick Bun (P58). 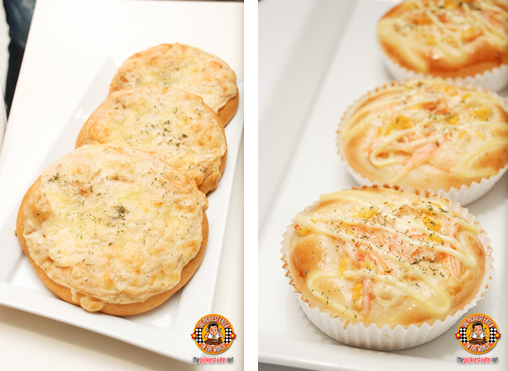 It’s a soft bun topped with crabstick that is mixed with Japanese mayonnaise which makes it so creamy. This makes a good on-the-go food that you can buy and take to work. 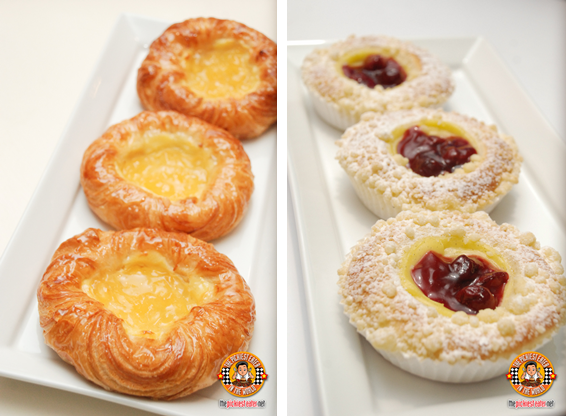 For the sweet bread, we tried the Apple Cheese Danish (P59). First thing I said as soon as I bit into one is how flaky the Danish pastry is. And then in the center is a delicious cream cheese. I’m sure Rain will love this. On the right is the Cherry Brioche (P51). A yummy brioche dough with a rich custard filling, and then topped with Ruby Red Cherries, and then sprinkled with Japanese Saboro crumble for that extra texture. But if you ask me, my favorite is the simplest looking one. 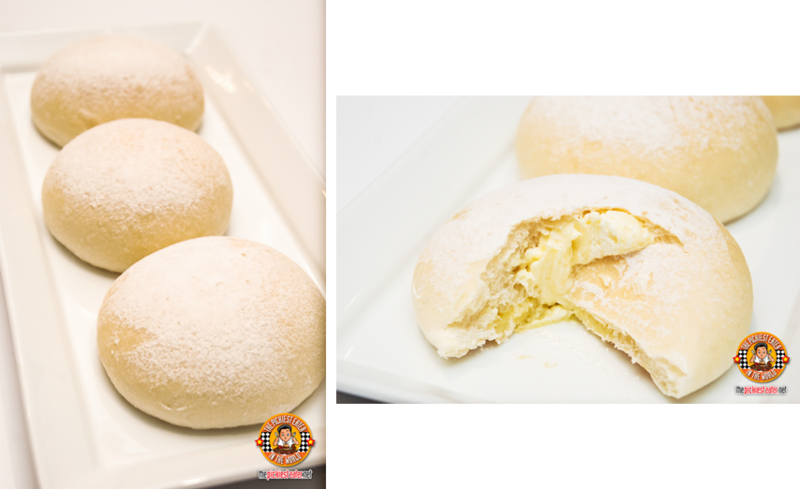 The Custard Butter Bun (P45)! The bread is really super soft, dusted with sugar powder, and then once you bite into it.rich egg custard and buttercream fillings ooze out. Nothing like a soft bread with subtle sweet creamy center. We were all really delighted when we saw that Kumori had these beautifuly designed shakes. High points for the presentation! They have Choco Hazelnut Milkshake (P175), Matcha Milkshake (P185), and my favorite, the Japanese Sweet Corn Milkshake (P165) which is not sweet at all! 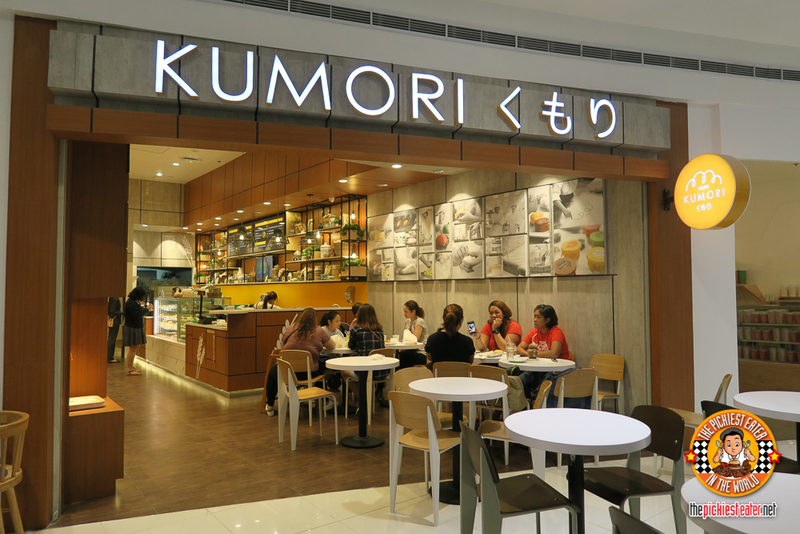 EAT 9707: STREET FOOD WITH A JAPANESE KICK!